You can get a free 8×10 photo print at Walgreens! Use the coupon code 8X10APRIL at checkout. Choose in-store pickup to avoid the shipping charges. This offer is not valid in-store or on the mobile app. $0.93 Nice! Storage Bags at Walgreens! 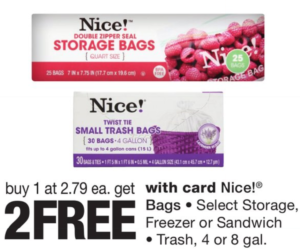 This week at Walgreens, select Nice! Bags are on sale buy 1 get 2 FREE! All 12-Packs, Just $3.00 each at Walgreens! 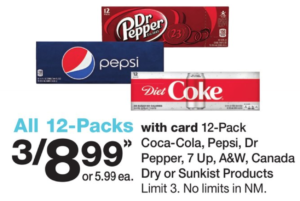 This week at Walgreens, Coca-Cola, Pepsi, Dr Pepper, 7 Up, A&W, Canada Dry or Sunkist Products are on sale 3 for $8.99! 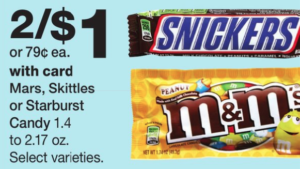 This week at Walgreens, Mars, Skittles, or Starburst candy is on sale for $0.50, when you buy 2! $0.50 Hershey’s Candy at Walgreens! 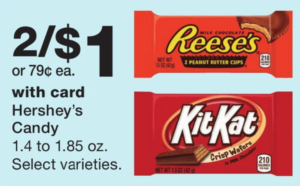 This week at Walgreens, Hershey candy is on sale two for $1.00! 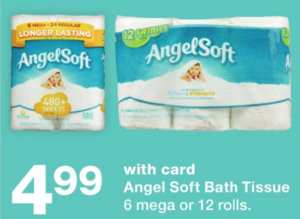 $3.99 Angel Soft Family Roll Toilet Paper at Walgreens! This week at Walgreens, Angel Soft Toilet Paper is on sale for $4.99. Use the printable $1.00/1 coupon and pay just $3.99! $1.00 Sweet Baby Ray’s at Walgreens! 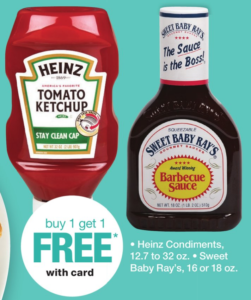 This week at Walgreens, Sweet Baby Ray’s is on sale buy 1 get 1 FREE! 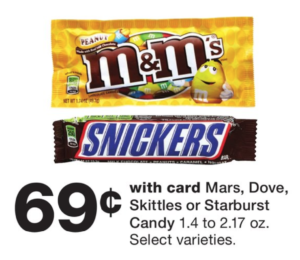 This week at Walgreens, Mars, Dove, Skittles or Starburst candy is on sale for $0.69!